Want to find out more about old films and not sure where to start? There is so much information that it can be difficult to know where to turn. Below is a list of resources that we’ve used and love. As much as we love screens, there’s nothing like a good book. These are some of the books we have read and loved over the years. 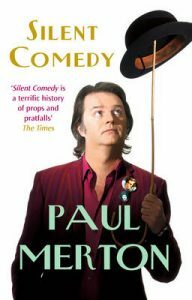 Paul Merton’s passion for silent movies is incredible. From holding his own silent cinema to hosting a series of documentaries about all aspects of early Hollywood. This book follows the rise and fall of some of the comedic pioneers who dominated the cinema screens. This is a great go-to book if you’re new to silent film.